Forty-three printmakers from Santa Cruz and around the country, as well as several international participants, have created portraits of the disappeared students from Ayotzinapa, Mexico. We hope that these prints, which include block prints, etchings, silkscreen, and monoprints, will help maintain pressure to find these students. Here is a link to learn more and stay informed alongside Printmakers for the Ayotzinapa 43. 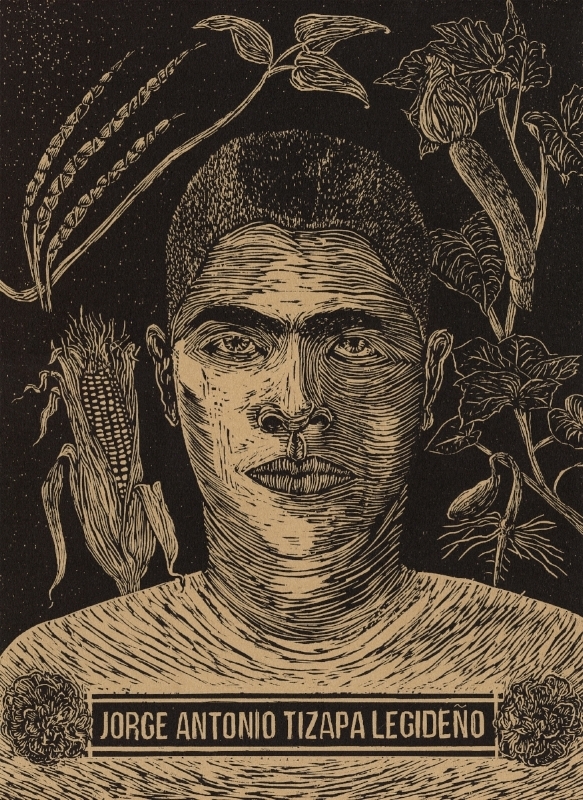 With this woodcut, I am commemorating student-teacher Jorge Antonio Tizapa Legideno. From what I know of him, he enjoyed farming and growing traditional foods for his peers. On my mind and the title for this piece is the Mexican proverb, "They tried to bury us, they didn't know we were seeds."